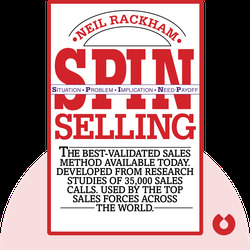 SPIN Selling (1988) distills the author’s 12 years of research and 35,000 sales calls into a coherent and applicable sales strategy that is guaranteed to bring success to any diligent salesperson. 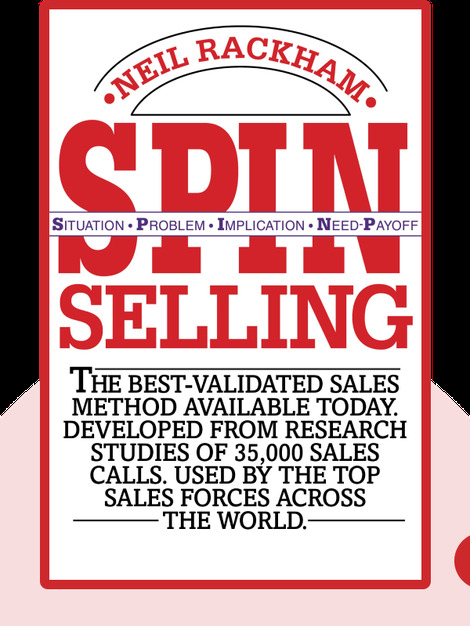 You’ll learn why traditional sales methods are limited while exploring the benefits of the SPIN strategy when approaching small and large sales opportunities. Considered one of the founders of modern sales theory, Neil Rackham is the founder and former president of Huthwaite, a sales performance improvement company that offers seminars as well as other training for sales organizations.